Since the release of his debut album, the two-disc Summertime ’06, Vince Staples has become somewhat of a rap obsession. The Long Beach emcee has engrossed fans of the boom-bap generation and the hipster nests with his say-less-mean-more approach, minimal chorus-work and gritty tales of street and gang life, all while appearing immune to the lifelong effects of both. What may be even more impressive about Staples’ ascent, is that on a major label like Def Jam Records, he did it all without the go-to guest contributions of the Drakes and the Chris Browns of the world, and with nary a DJ Mustard or Mike Will Made-It producer tag. Staples, No I.D., and meticulously chosen handful of producers locked in for 20 tracks, in an era supposed to be totally over the lengthy album thing. Just over a year later, Staples is ready to impact again in the form of the Prima Donna EP, featuring contributions from DJ Dahi, James Blake and potentially more. Staples, who has entertained viewers of Hot 97’s Ebro in the Morning, ESPN and GQ Video with his hilarious takes on fashion and sports, has also wowed festival crowds worldwide since the release of Summertime, and backstage at this summer’s Wireless fest in the U.K., Big Sean revealed that the two have been in the studio. Whatever the tracklist or guest list looks like, one thing’s for sure. 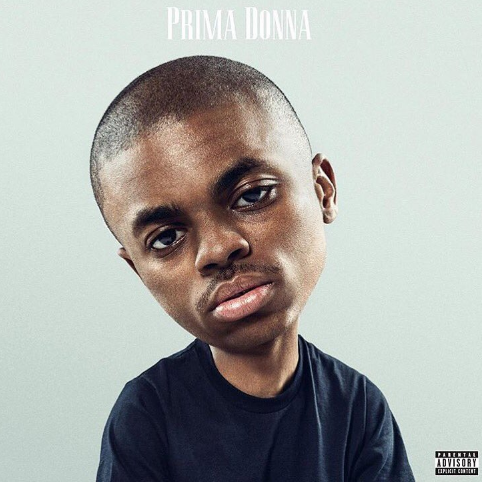 More Vince Staples is coming on August 26.